It's hard to pick the right health insurance in Germany. There are hundreds of options, both public and private. You might have heard of Techniker Krankenkasse already. It's the largest public health insurer in Germany. I am a TK customer since 2015. I was with TK as an intern, as an employee and as a freelancer. This is my review of their services. How much does TK health insurance cost? Does TK offer support in English? Techniker Krankenkasse (or TK) is a public health insurance company (Krankenkasse) in Germany. It's the largest health insurer in the country, with 10.4 million members1, 2. TK is a non-profit company, like all public health insurers in Germany. Your health insurance contributions depend on your income. This is true for all public health insurers in Germany, including TK. Public health insurance costs between 14.6% and 15.5% of your income, but your employer pays half of it. TK health insurance costs 15.3%, so you pay 7.65%1. The maximum contribution for employees is 428€ per month2019. Students only pay 92€ per month1. Freelancers pay the full 15.3% alone. They don't get help from their employer. All public health insurers have similar prices. Yes, but not officially. You can sign up in English on TK's English website (or with this simplified form), but the rest of the website is only available in German. The members area (Meine TK) is only available in German. All your correspondence will be in German. If they need something from you, they will ask in German. On the bright side, phone and chat support is available in English. I was a TK customer since I moved to Berlin in 2015. I had a very positive experience with them. In my experience, TK covers everything without asking questions. You go to the doctor, you show your health insurance card, and you get the treatments you need. That's it. I have seen doctors, physiotherapists, podiatrists, psychotherapists, psychiatrists and dentists. TK paid for everything without asking questions. There is nothing more to say about it. It just works. The cost of TK health insurance depends on your income. If you earn more, it's more expensive. This is true for all public health insurers, not just TK. If you are a freelancer, your employer doesn't pay half of your health insurance. If you earn a lot, you can pay up to 815€ per month in health insurance! On the other hand, private health insurance is priced according to your age and health. If you are young, healthy, childfree, freelance and well-paid, private health insurance can be much cheaper. This is why going with private health insurance sometimes makes more sense. We explain it in our introduction to public and private health insurance. This is one reason why TK might not be the best option for you. TK offers multiple ways to contact them. You can call them, use their online chat or ask them to call you. Their online chat is one of the best I've used. They answer quickly with clear, detailed answers. A few days ago, I received a letter that I did not understand. They answered all of my questions and told me exactly what to do in less than 10 minutes. The customer support also available in English. Most things can be done online in TK's members' area, Meine TK. You can update your personal information and read your messages online. 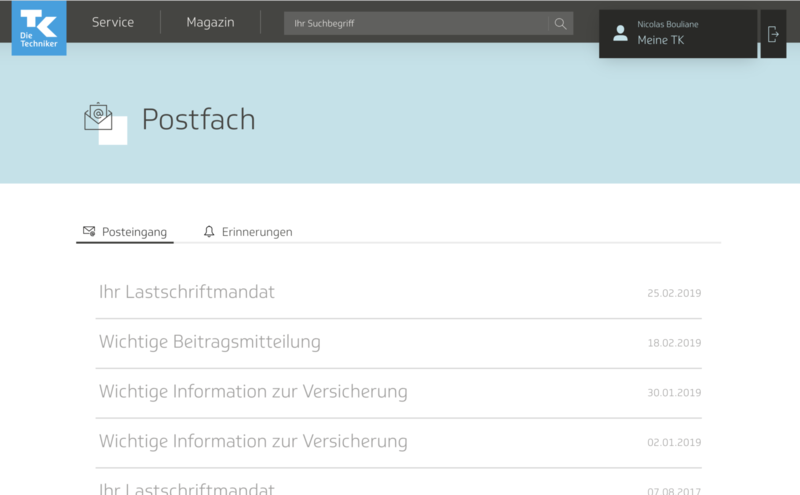 You can choose to receive all your mail online. When there is a new message, you receive an email. You can only view the message on the TK website. You must enter an SMS code to access your messages. The TK mailbox is just a list of PDF letters from TK. You can also download important documents from Meine TK. You can also ask Techniker Krankenkasse to find an appointment for you. They send you an SMS when they have found an appointment for you. This can be very useful if you don't speak German fluently, and don't have a doctor yet. I only discovered this while writing this review, so I haven't tried it yet. 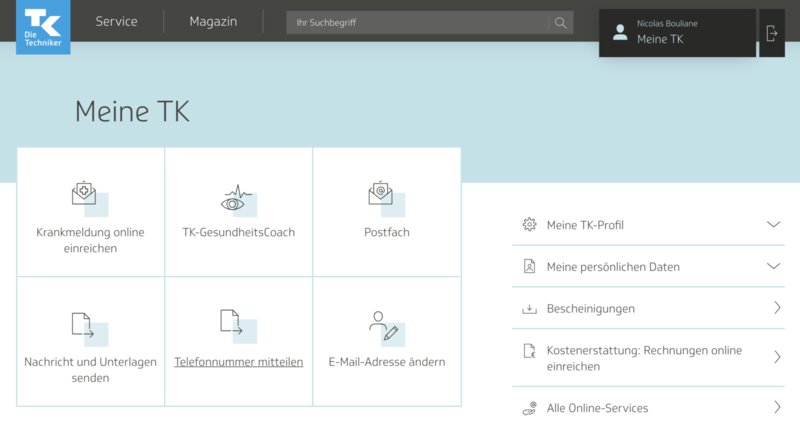 Meine TK allows you to submit or download documents online. You rarely need to send something by mail. 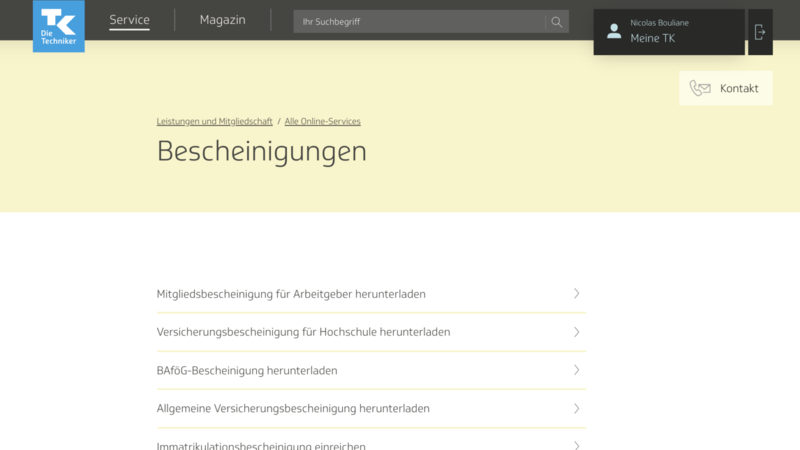 You can also download documents for your employer, the Ausländerbehörde and BAföG straight from TK's website. It was nominated "Germany's best Krankenkasse" for the last 13 years. It ranked #1 in the Deutsche Finanz-Service Institut test. It also ranked #1 on Testsieger-Berichte's test. 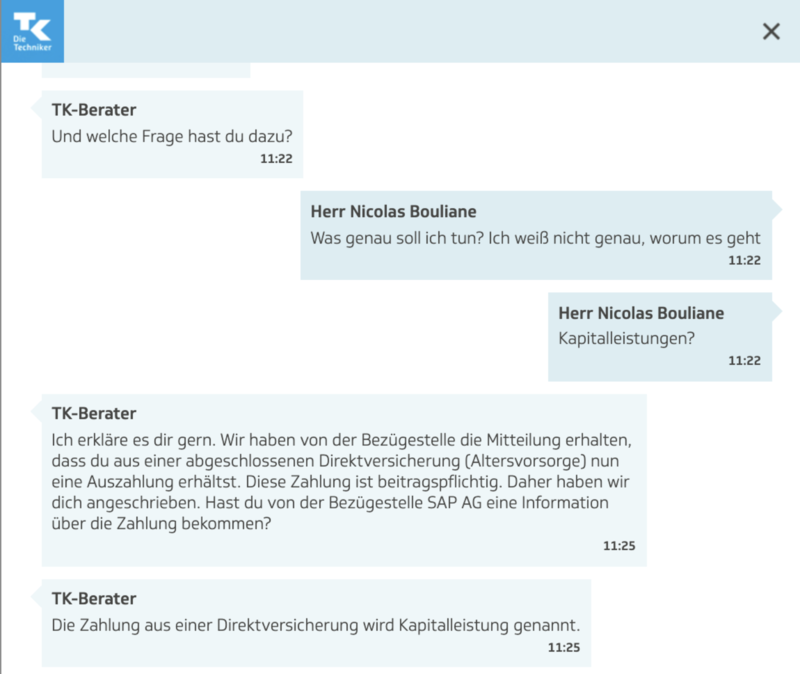 It ranked #1 next to HEK on Finanztip's report. I am not cherry-picking facts. Every article I have found ranks TK first. My insurance broker, Rob, also said that it's by far the best public option. Techniker Krankenkasse is an excellent public health insurance company. As a long term customer, I am very satisfied. If you want be insured with the Techniker Krankenkasse, fill this simplified form. It only takes 10 minutes, and Popsure takes care of the rest. You can also go through the process yourself on the TK website. They have an English signup form. This article uses affiliate links. When you click these links and sign up with TK, we make a little money. We use that money to pay our hosting bill, expand the website and donate to charity. We do not let that affect our reviews. This summer, Coup e-scooters have arrived in force and taken over the city. Is the service really worth signing up for, or should you stick to your trusty bicycle?